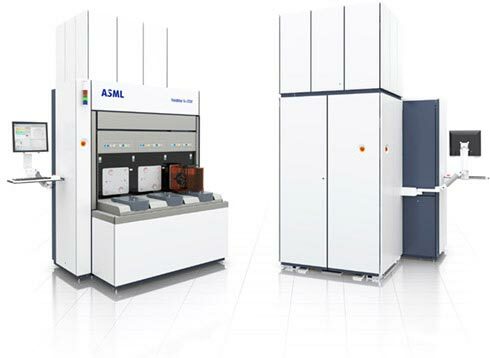 ASML is entering the metrology market by developing a YieldStar product line, consisting of machines that are capable of measuring the overlay and critical dimension of structures that have been printed on wafers by a TwinScan. The main goal is to deliver a closed loop solution to customers that increases the performance of a TwinScan by using metrology on the printed wafers by the TwinScan. ASML is leader in lithography with its TwinScan machines and extended their business with metrology by developing a YieldStar product line, consisting of machines that are capable of measuring the overlay and critical dimension of structures that have been printed on wafers by a TwinScan. The main goal is to deliver a closed loop solution to customers where the drift of a TwinScan can be corrected automatically by measuring the printed wafers with YieldStar. Hightech ICT was assigned to develop the control software for the complete YieldStar product line and the applications for measuring overlay and critical dimension. An architecture for the product line was designed, and the software was implemented in C# / WinForms / WPF. Up to now 3 products have been released in the product line (S100, S200 and T200).